It was just in April that I was building a new discovery, the lovely Belle Harbor Yacht Club (1914) is a quintessential example of a private yacht club during the golden age of sail’s twilight. 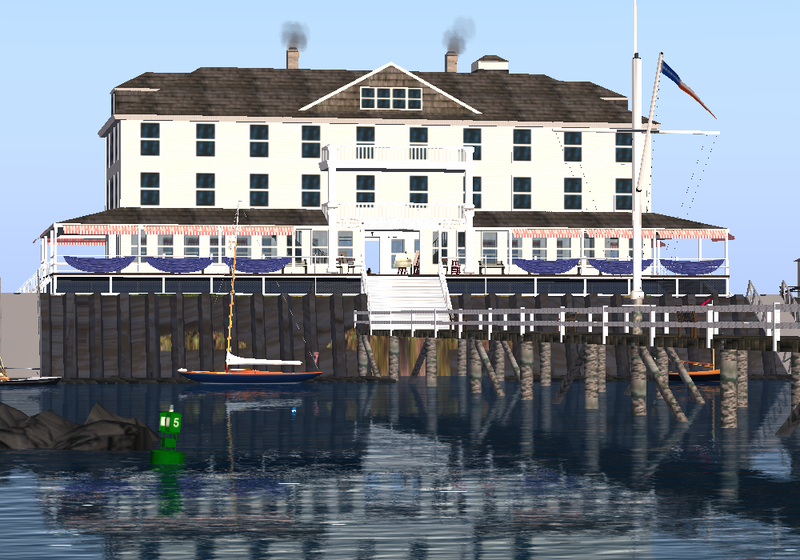 Below is a picture of the yacht club in Second Life, and a gallery of the yacht club as it looks today. The trouble with Real Life is the real weather that came with the storm this October. Sandy has changed a lot of lives, including those close to me. You can see more pics on my facebook gallery. An auction of this never-sold item is raising funds for the victims of this storm. 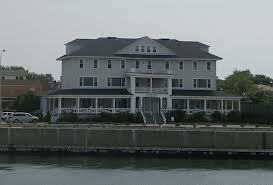 The auction will be taking place for three days, at this location, bids will be taken, all proceeds will go to victim relief in the Rockaways. Winning bid takes home the Yacht Club Build on Nov. 23, at 3pm ET. Thank you everyone for donating! Special thanks to MarkTwain White for donating the use of land in Blake Roatan sim, Bennythe Boozehound for DJ and dance party mix, and most special thanks to the winner of the Belle Harbor Yacht Club, a Kiku Klassic exclusive, to Allie Tomsen!